Highly effective extra rich, super-nourishing cream by Academie. Used alone or as complimentary care, this hydrating and revitalizing cream creates a stable moisture deposit in the skin and leaves it radiantly fresh and young looking. Contains original apple water, trehalose complex and vegetable proteins. 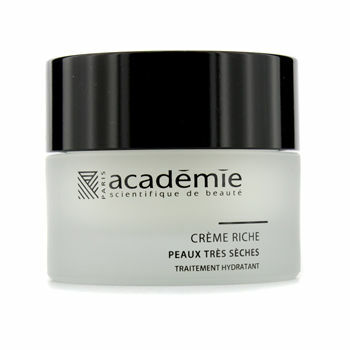 Helps re-balance and maintain skin's optimum hydrating level. Creates softer, smoother skin with a healthy glow. . . Only you can prove it. A must for the tired-looking skin . . . It's about time you did something good for your skin . . .
- Softer, smoother skin with a healthy glow. - Apply with light massage movements on a clean skin.